Morris Bullock was quoted in the June 13, 2016, issue of Chemical and Engineering News. 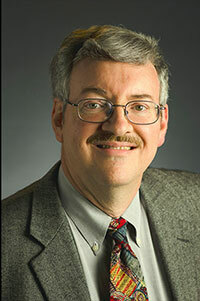 In the June 13 issue of Chemical & Engineering News, Dr. Morris Bullock at Pacific Northwest National laboratory is quoted as an outside expert. In the article titled "Chemists announce the end of the innocence for cyclopentadienyl," writer Stephen K. Ritter covers research by two groups that show the ligand cyclopentadienyl is reactive, suggesting new opportunities for catalyst design. Bullock is quoted at the end of the article about the significance of the research. At the national laboratory, Bullock leads the Center for Molecular Electrocatalysis, an Energy Frontier Research Center funded by the U.S. Department of Energy's Office of Science. He is a Fellow of the Royal Society of Chemistry and American Chemical Society. His work in developing transition metal electrocatalysts earned him the Royal Society of Chemistry's Homogeneous Catalysis Award in 2013.